The Samsung Galaxy Grand 2 is an inevitable update to the Grand Duos but poor pricing and tough competition make it hard sell. Love it or hate it, there’s no denying the fact that the Galaxy Grand Duos was a huge success for Samsung and is one of the phones that cemented the company's place as the top player in the Indian market. The Grand 2 launched at a time when the sub-Rs 20,000 price segment wasn’t a terribly exciting place and offered features such as dual-band WI-Fi, GLONASS, Full HD video recording and a large display, which no one else did. The display panel was the Achilles heel of the Grand Duos, which created two factions of users – some who despised it and others who saw past this little flaw. Honestly, we didn’t think it was that terrible like most made it out to be but then that’s just us. Exactly a year later, we have a follow up called the Galaxy Grand 2. The successor comes with the mandatory cosmetic facelift and few tweaks under the hood to keep all the right boxes ticked. Trouble is though, this segment isn’t what it was a year back. It’s extremely cut-throat and features like Full HD displays and 13MP cameras can be easily found. So, with a higher launch price than the Grand Duos and a few changes under the hood, does the Grand 2 have a place in this segment? Can it recreate the magic of its predecessor when you have tough competition from Lenovo, Nokia, Sony and Gionee? If the Grand Duos looked a lot like the Galaxy S3, the Grand 2 (SM-G7102) is modelled around the Galaxy S4 and the Mega. It still weighs the same at 163g but is a tiny bit slimmer at 8.9mm. The phone is made predominantly of plastic and Samsung has shaved down the bezel quite a bit so the larger 5.2-inch display fits in a slightly smaller chassis. The build quality is very good and the phone feels sturdy without any creaking plastic bits. The bezel also has a mosaic-like pattern on it, which is visible when light catches it. 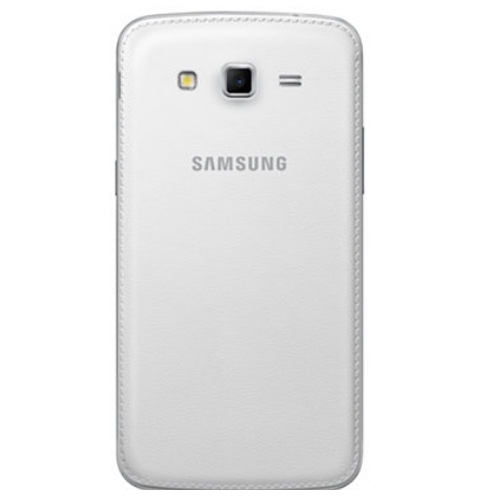 The back cover is treated with the same faux-leather texture and faux-stitching like the Note 3. The buttons and the edges have a heavy chrome trim, which is prone to scratches and wearing off easily. 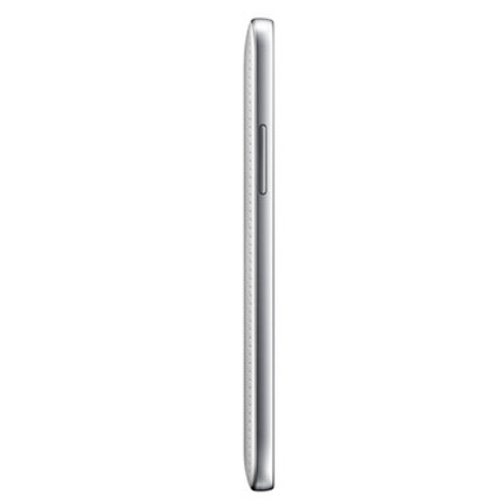 The back cover snaps off easily, revealing the two SIM slots and a microSD card slot. We even have a chunkier 2600mAh battery which should give us better backup time. The rear speaker is decently loud for incoming calls but is quite muted when it comes to alert tones. Even after maxing out the notification volume, the most alert tones weren’t as loud as you’d expect them to be. Another issue is the lack of a notification light. This is a real problem since if you don’t hear you phone, there’s no way of knowing if you have a pending alert. The ambient light sensor also seems to have just two settings – dim and bright. It doesn’t change as quickly as well so at times; you’re just waiting for the brightness to kick up a notch when you’re outdoors. The latter seems more like a firmware issue however. Speaking of which, there’s definitely some major bugs in the current firmware as we experienced very inconveniencing, sporadic slow-downs. This was a brand new retail unit that we unboxed so it’s not like it had been through a lot of wear and tear. When it works, it’s very smooth without any hitches. Every now and then though, the phone will just lock up and no amount of hitting the home or power key would make things right. It seems like a RAM management issue which is causing this. We hope Samsung fixes this in their future firmware update. The display is a lot better than the Grand Duos thanks to the bumped up resolution. It’s a shame we have to deal with just a TFT panel but we’ve seen worse. Colours are fairly punchy and text and icons aren’t pixelated. Screen sensitivity is also good and we didn’t have any issues here. The phone is powered by a quad-core Qualcomm Snapdragon 400 SoC and there’s 1.5GB of RAM accompanying it. In benchmarks, the SoC is a lot faster compared to the dual-core Broadcom chip in the Grand Duos. Both, AnTuTu and Quadrant posted some good numbers compared to its predecessor. Android 4.3 gets a smattering of TouchWiz apps. The new Multi-window is also present and its nice to see support for more third party apps as well. There’s also S Voice, Group Play, Story Album, S Translator and a Voice Recorder. The music and video player are quite competent so you won’t need to look elsewhere for a better experience. The music player supports lyrics and you also get cool enhancements like Tube amp effect, Adapt sound, EQ presets and more. The video player supports most formats, including MKV. There’s 8GB of onboard storage and you can further expand this by up to 64GB. 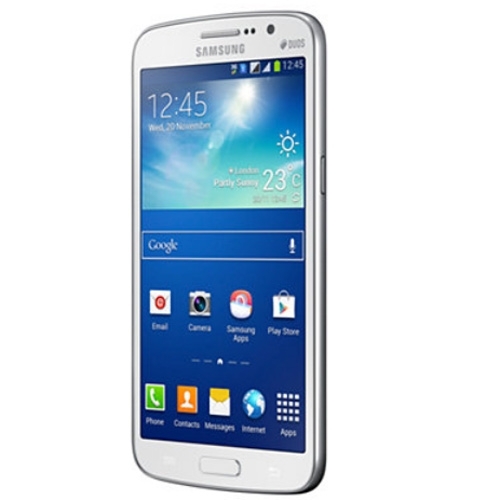 The Samsung Galaxy Grand 2 is a 3G and quad-band GSM phone. Other features from the Duos also make a comeback like dual-band Wi-Fi, Wi-Fi Direct, Bluetooth v4.0 and GLONASS. NFC is still missing and we’d really like to see an IR blaster as well, which I don’t think is asking for much. The new display definitely makes web browsing a more pleasant experience and web sites can be read more easily without having to zoom in too much. Call quality was also good although the speakerphone volume was rather weak. It seems like the Grand 2 inherits the same 8MP snapper of the Grand Duos. This isn’t a bad thing considering the Grand did have a very good camera. The Grand 2 really excels when it comes to macro shots and we were surprised at the level of detail we were able to capture. That insect you see in the first image is no bigger than a small pea. We wished we had some sort of image stabilisation though, as it’s not easy capturing macros if your hands aren’t steady. The UI is similar to the one found on the S4 and Note 3. You even get most of the same features. Dual shot was missing though. The 2600mAh battery easily sailed through our 8-hour loop test with about 30 per cent to spare. With regular use, we easily managed to get by two days before having to charge it. The Samsung Galaxy Grand 2 is officially available for Rs 24,890 but you can find it for it little lesser online and in most stores. Samsung is charging a Rs 4,000 premium over Grand Duos’s launch price and we feel this is too much for what’s on offer. If this was mid-2013 and the Grand 2 launched for this price, it would have been acceptable. But a year later, the Grand Duos has almost reached its EOL (End of Life) period, which is typically when we expect a refresh of sorts with mildly bumped up specifications for the same price. And the Grand 2 ticks all those boxes perfectly, except for the pricing. Samsung has also missed out on little details like putting a notification light or NFC even. Club Samsung: • Club Samsung is your own personal window to Music, Movies, Videos, Games, LIVE TV and Performances. 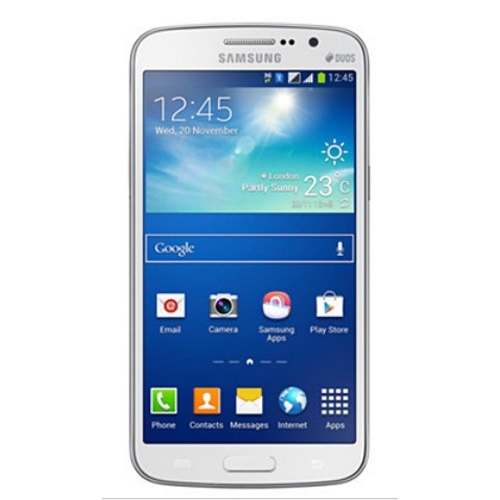 • For Grand 2 users, Club Samsung comes for free for 3 months. • Get to choose from 9 Indian Languages to get content of your own language. Pick from Hindi, Marathi, Gujarati, Punjabi, Bengali, Tamil, Telugu, Malayam and Kannada. • With Discovery , explore content basis your mood, era, genre and language. Get a personalized experience built on your browsing history Optimal Wide View - Viewing Experience: • Expansive 13.3cms HD screen with 16:9 aspect ratio is ideal for watching movies and playing games. • Slimmer with comfortable grip, extremely portable.